Coutrallam Falls (also called Kutralam Falls) is located in Coutrallam in Tirunelveli district in the South Indian state of Tamil Nadu. The falls is located on the Western Ghats on the river Chittar and is considered a "medical spa" on account of the medical smell in the waters. It is located 7 km (4.3 mi) from the nearest city Tenkasi. 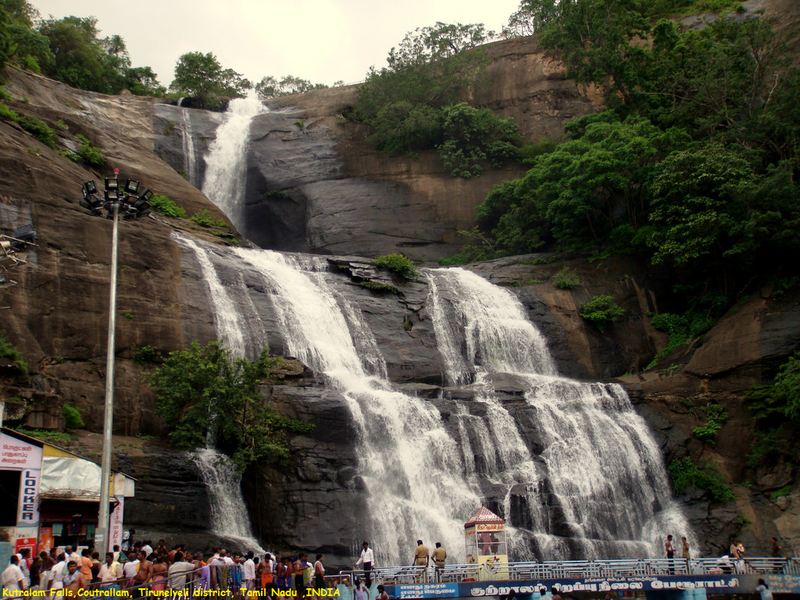 There are a total of nine falls of which Peraruvi, Aintharuvi and Puli Aruvi being the most prominent. As per Hindu legend, sage Agasthya is believed to have got the grace of Shiva to set it as his abode and create the medicinal falls to cure his headache.